I don't know about you, but when this warm weather hits it makes me want to be a better version of myself! I know that sounds funny, but who isn't happier when the weather is gorgeous?! It makes me want to get outside, exercise more, eat healthier.. all of the things! This time of year is also when the spring cleaning bug hits! I tend to spring clean all aspects of my life this time of year! I begin purging my closets (yes I've taken over the guest room closet too), tidying the house, sprucing up our curb appeal, and we also cleaned up our dogs' diets a bit! Yes this weather makes me want to be healthier, but we also want our pups to be healthier too! I have made an effort to get them exercise outside more and we also changed up their food! 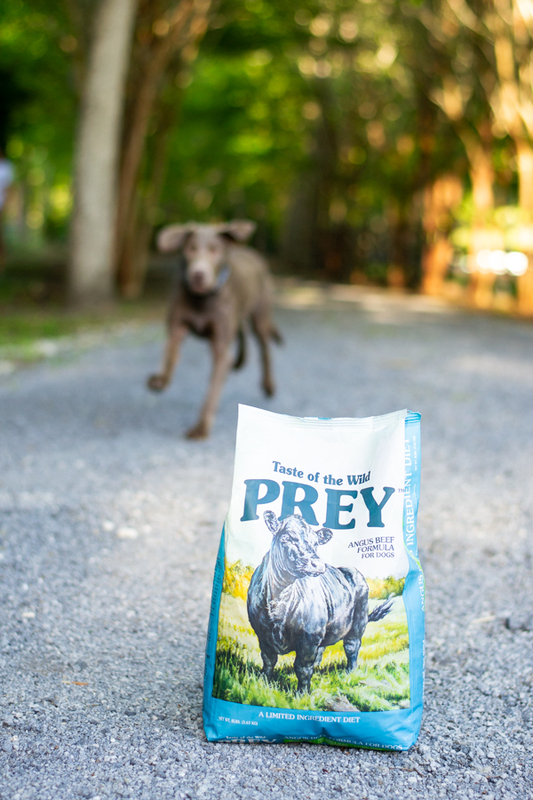 We've been feeding our labs Taste of the Wild PREY for a couple weeks now and they have been loving it! Tarpon and Mako (and obviously our little Scooter) are part of the family, so we want them to eat as well as we do.. or better (because who am I kidding, no way I'm cutting pizza from my diet)! With PREY we know what we are giving our pups! 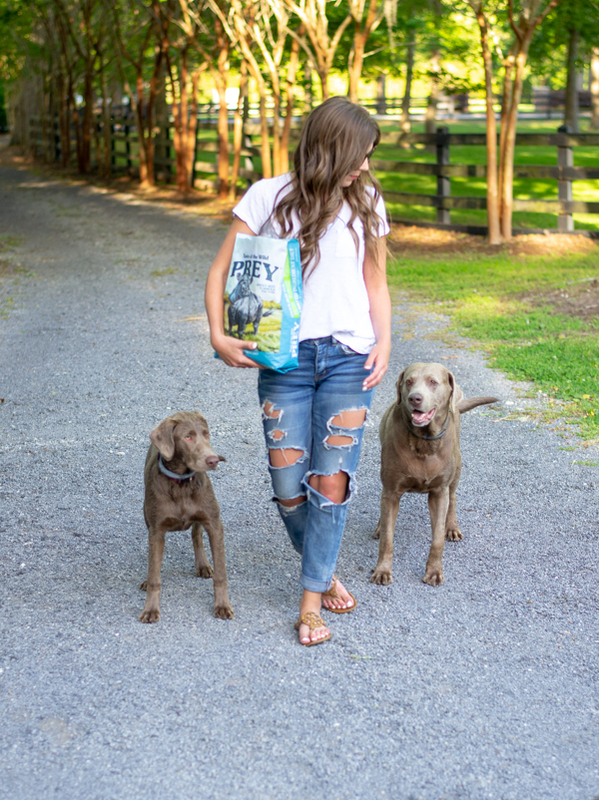 It's a Limited ingredient dog food , making it simple and clean with easy-to-recognize ingredients! I do not have the healthiest eating habits. Who am I kidding, I have no healthy eating habits haha (I'm trying to work on that though)! But that doesn't mean my pups can't be healthy eaters! Since I am trying to stop feeding them table food (ugh I'm totally guilty in this department), it's nice to see that they are getting all their nutritional needs with PREY! 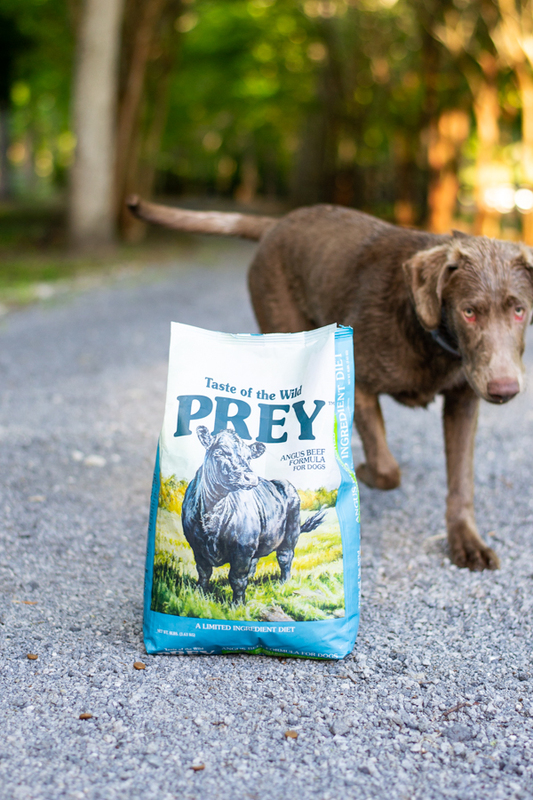 Despite being made with limited ingredients, PREY is a complete diet, fortified with vitamins, minerals and nutrients! Woo! Since we switched up Tarpon and Mako's food to Taste of the Wild PREY, I've noticed a huge difference in not only their energy levels (well mostly Tarpon's energy level because let's face it, Mako is still a puppy and goes at a mile a minute), but also in their coats! Their fur seems to be fuller and has a nice healthy shine to it! Thanks so much to Taste of the Wild PREY for sponsoring this post. Follow them on Facebook. The cutest pups ever! Thanks for sharing this post. We have a puppy and will definetly have to try this dog food out. Your dogs are so cute! This sounds like a great food for them! Such cute pups!! Love those jeans too. Gotta keep the pups happy! Love this. This sounds like a great food to feed the pups! I love those jeans, so cute and a great casual outfit! Awe, such cute pups!! We try to feed our pup the best as well -- but he can be a little picky at times. I totally get that way when beautiful weather approaches!! & love fur babies, yours are so cute! Such a cute pup! Have to keep him healthy with good dog food! I haven't heard of this brand, but I bet my pups would love it! I haven't heard of this brand but have to tell my parents bc my pug needs some healthy food in his life! such cute pups!! !